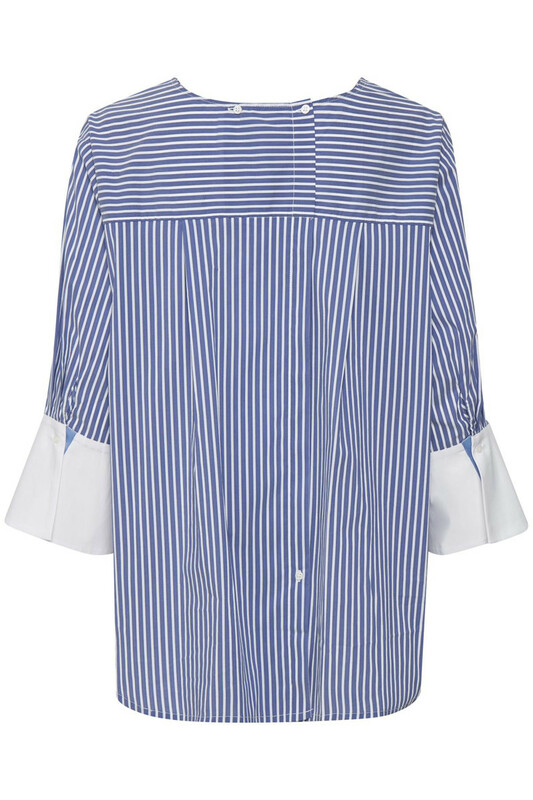 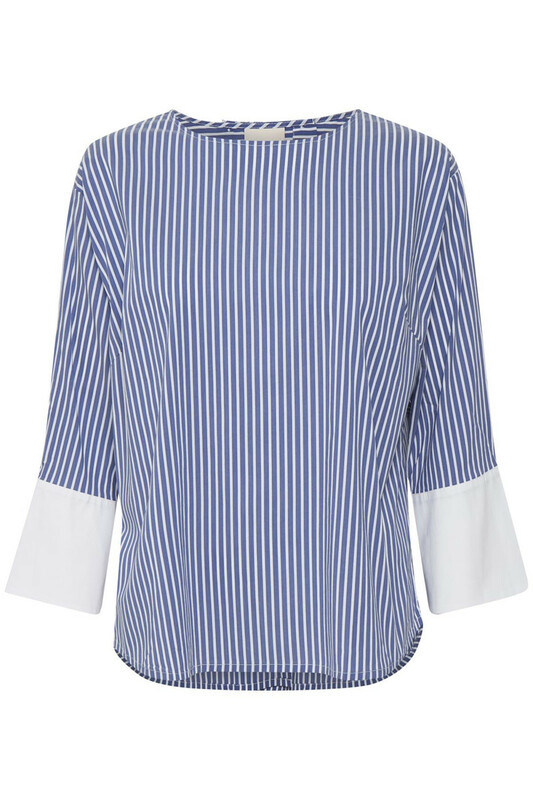 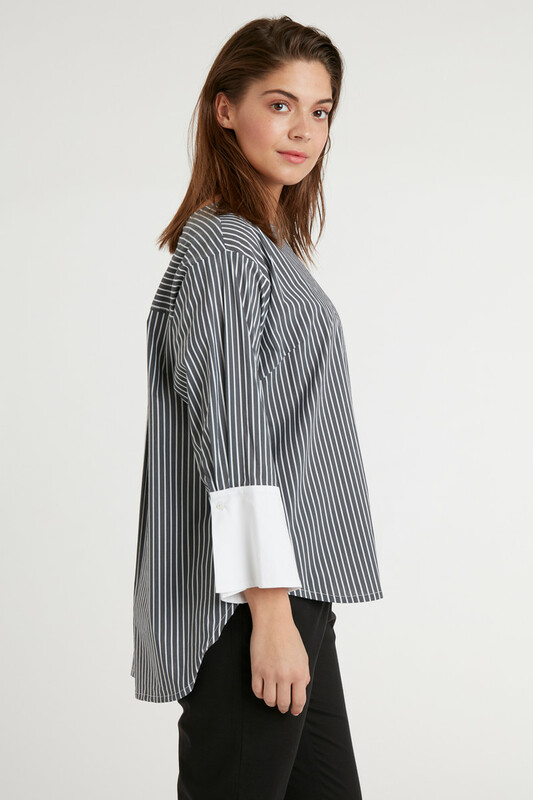 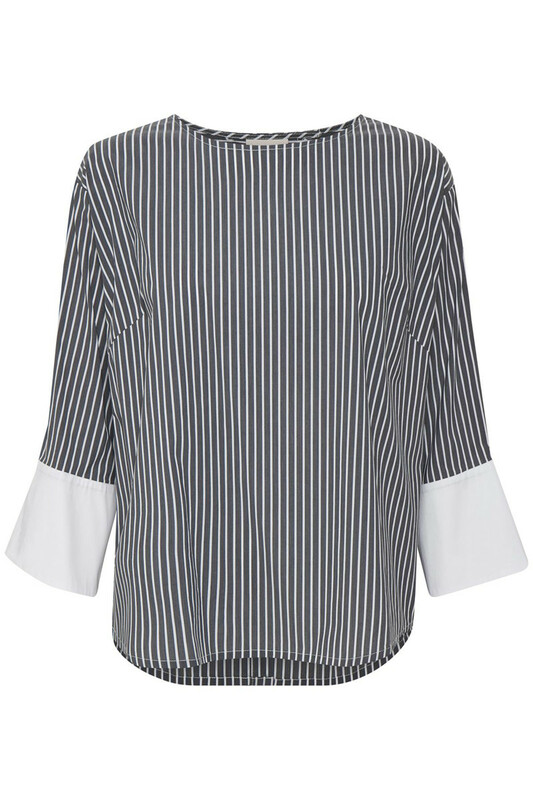 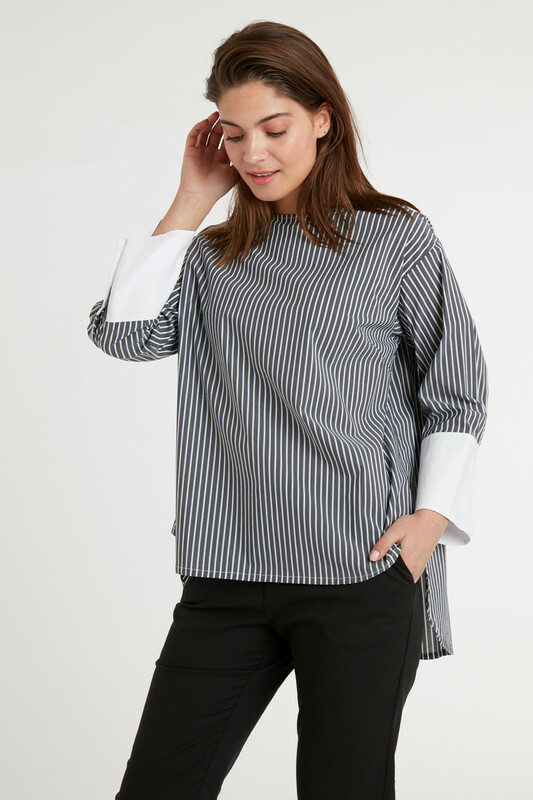 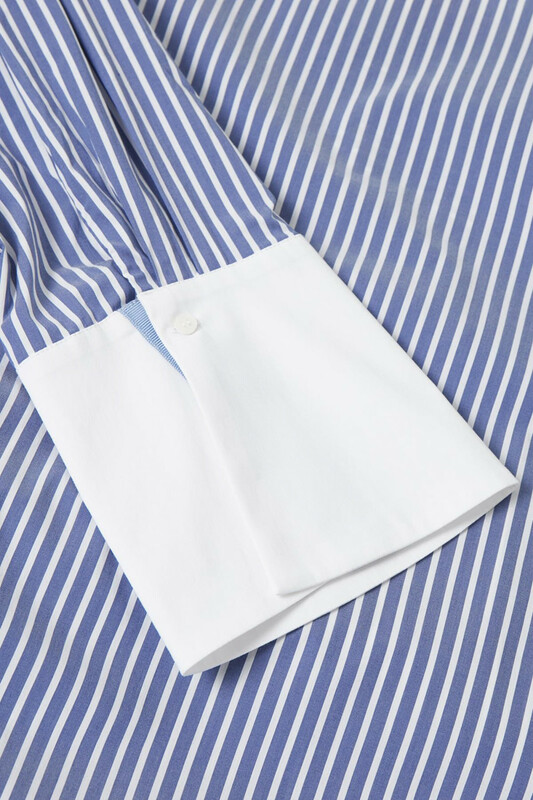 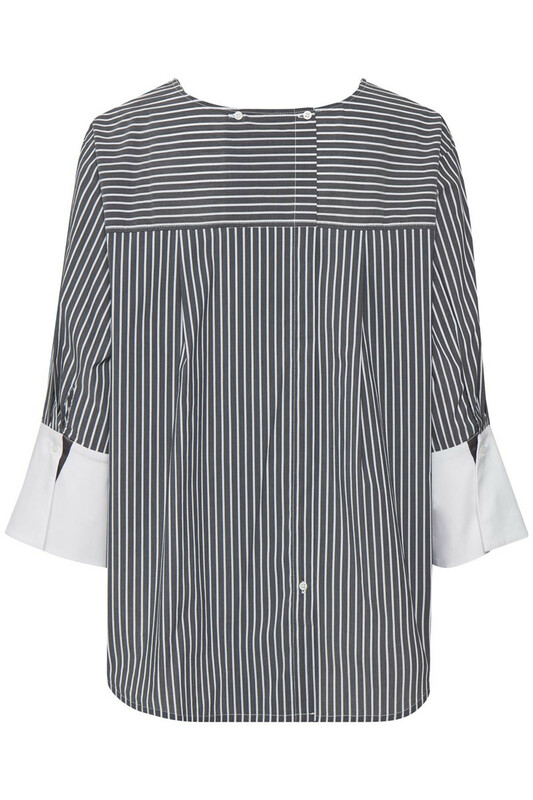 Beautiful oversized blouse with stripes and wide cuffs. 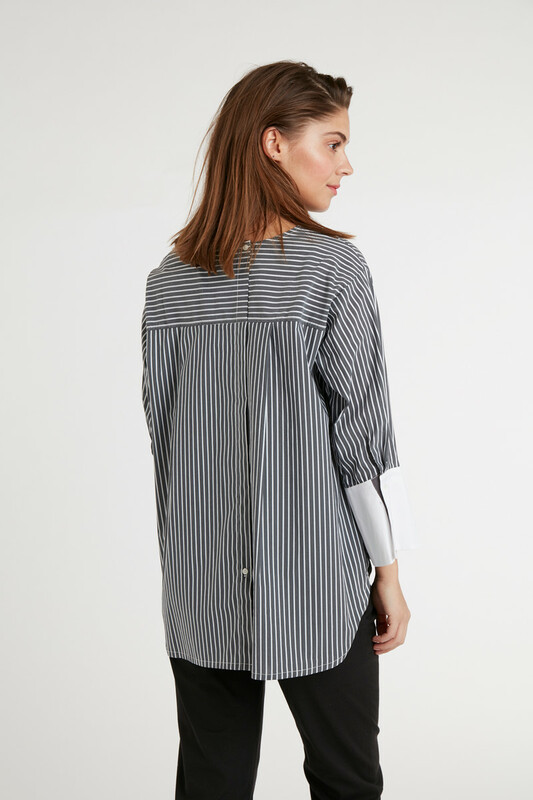 The blouse has a loose fit, with a round neck and an open back, which does up by with small buttons. 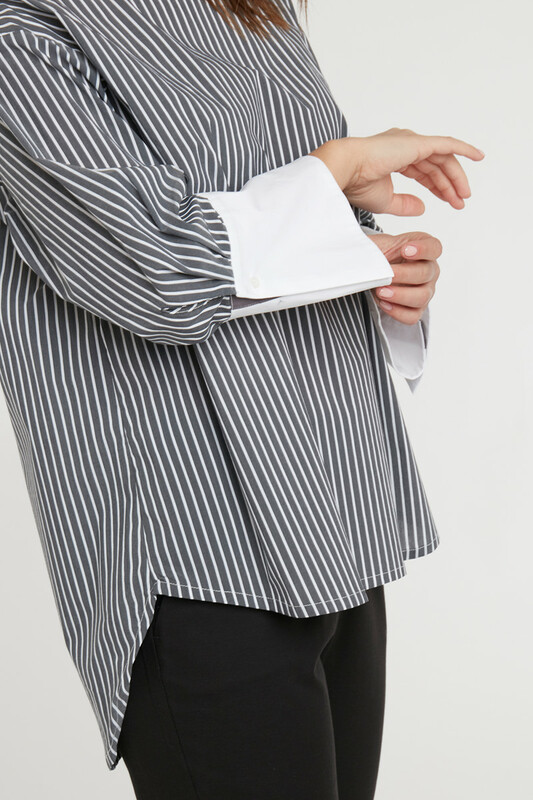 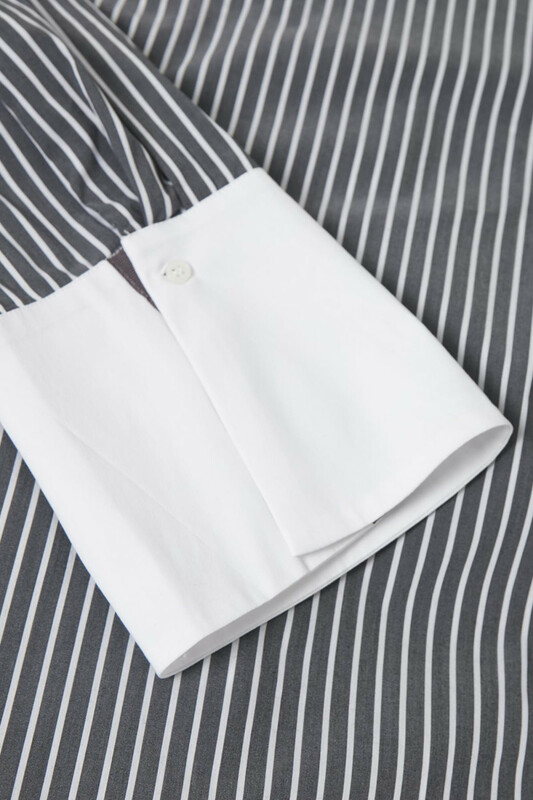 Each sleeve has a wide cuff, and the blouse is slightly longer at the back.